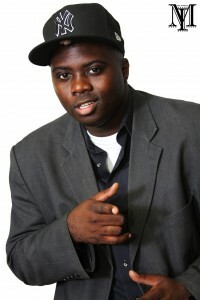 Vincent “Heartbreak” Tucker is an entrepreneur, humanitarian and multi-faceted entertainer, promoter, event host and MC, radio and TV personality. AMPS: We interviewed you a few years ago and you shared a very interesting story with us about your family dynamics. How is the relationship with your family now? Vincent: As I told you in our earlier interview, I was estranged from my father and my paternal grandmother. With the assistance of my Uncle Andrew, I have been able to reconnect with both of them. My father and I had quite a long conversation about many of the things that have haunted me over the years. I was able to open up and express these feelings to him and he listened. With this being said, we are a work in progress. The foundation for a better relationship has been laid. AMPS: How did you feel after finally being able to express yourself? Vincent: I felt a sense of relief and learned that harboring these feelings were unhealthy for me. You and my Uncle Andrew, as well as others encouraged me to have this conversation with my father. I am thankful that I listened to your advice because I have begun to resolve some of these issues and let them go. AMPS: What new projects are you working on now? Vincent: My career is going great. I am an ambassador for Stock Private Vodka. This is a new product that I’m excited about. I’m also a brand ambassador for Foot Action USA. It has been awesome broadening their brand, model and message. My community involvement stems from my partnership in MBK Dallas. We just celebrated our 6th annual “My Brother’s Keeper” drive here in Dallas to supply clothes and food for those experiencing hardships. It gets bigger and better each year. There were a lot of TV and radio personalities that supported us. It was great to see the community come together for such a great cause. This is a few of the projects that I am involved in. And our course, my radio show is going well and doing big things. We have won several awards and are continuing to expand. AMPS: Are your projects mostly concentrated in the South Dallas area? Vincent: MBK Dallas is more active in downtown Dallas when we are not working on our annual events. MBK provides assistance to the Salvation Army. We are affiliated with the center that is housed in downtown Dallas. AMPS: What other community based projects is MBK Dallas involved in? Vincent: MBK Dallas is a non-profit organization that supports and assists low income families and the homeless. We extend our efforts to other community based assistance programs such as the United Way. We have focused mainly on the holiday season but are expanding to provide assistance throughout the year. I would like to invite everyone to go to our website www.mbk.org to get more information on how they can become involved and provide their support. AMPS: Are there any other projects that you can share with us? Vincent: There are a couple of other things that I am working on. You can stay tuned by logging on to www.jamheartbreak.com for updates. There is something personal that I want to share with you and your AMPS’ readers. I first shared this on my radio show with my listeners. It was the 20th anniversary of the fire that I survived but took the lives of my little sister and my grandparents. I had never grieved the loss that I felt or talked with anyone about my feelings. As I approached the anniversary, I was also dealing with the unexpected death of my mentor, the breakup of a long time relationship and financial struggles. I had fallen into a deep depression. On the actual day of the fire, I had a hysterical break-down. It was not a good day; I wanted to give up. I was exhausted. I wasn’t thinking about hurting myself but I didn’t know how to move forward. I decided to get professional help. I needed someone to help me resolve my feeling about the fire and to find some direction, harmony and stability to my current state of existence. I know that more often than not, we as a people feel we will get through our challenges on our own. This is especially true in the Black community. I want everyone to know that when they are feeling overwhelmed, it is okay to seek professional help. Sometimes, it is necessary. It can be your saving grace. AMPS: How did you comprehend these emotions when they surfaced? Vincent: It was as if an alarm had gone off. It was clear that I needed to seek professional help. I could no longer deal with these emotions on my own. AMPS: Do you feel as if therapy helped you? Vincent: It was awesome. I felt free. I did not allow conventional thinking to enter the equation. I still feel this was the best path for me. AMPS: Are you still in therapy today? Vincent: I continued therapy for approximately seven months. After I started to feel better about myself, I stopped the sessions. I’m still feeling great but I haven’t closed that door. If I feel the need, I will resume my therapy sessions. AMPS: What can we expect from Vincent Tucker in 2015? Vincent: You can expect bigger things from my affiliation with Stock and Foot Action. There is a mini documentary of the Vincent Tucker story in production. Look for it in 2015 and stay tuned to my radio broadcast. AMPS: Now that you have reconnected with your Dad, does he follow your career and know the story behind the name “Heartbreak”? Vincent: I don’t know if he knows. We have never discussed it. That is a question that I will have to ask him. He is very much a part of the “Heartbreak” name. AMPS: What advice would you give anyone whose life in in turmoil?